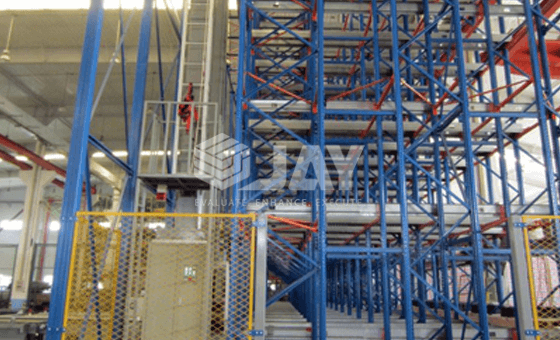 Automated warehouse storage & retrieval systems, AS/RS with radio shuttles for high bay warehouses, make pallet storage & retrieval even more efficient. Used in conjunction with rail-guarded stacker cranes, the system enables warehouse operators to achieve really compact, multi-deep pallet storage. To do this, the storage lanes are fitted with rails on which shuttles can run. Shuttle & stacker crane therefore form one logistical unit: the shuttle runs on the rails to an allotted storage position where it sets down or picks up a pallet, and the stacker crane transports the shuttle to the correct storage or retrieval point in the warehouse. 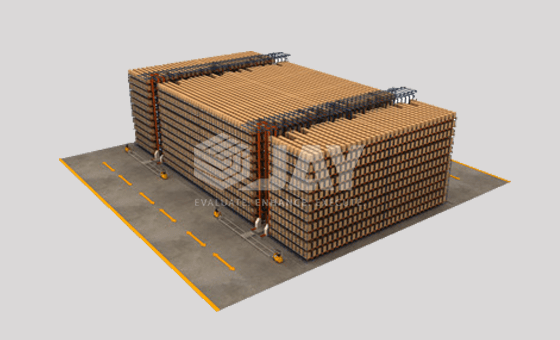 At Jay Storage Solutions, we provide you with the best quality of stacker cranes for pallet shuttle. 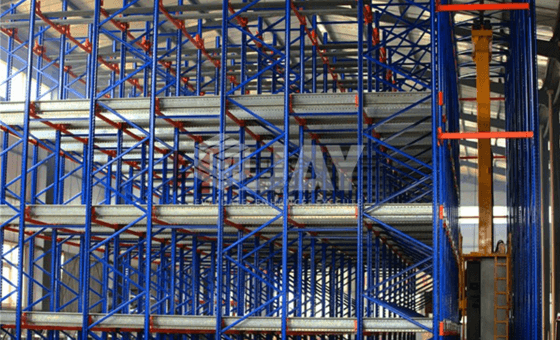 Multiple-deep storage retrieve loads from either side of any SRM aisle in a high-density storage configuration. Please fill up the Enquiry Form so that we can get in touch with you at the earliest. 36, Vakharia Industrial Estate, Ram Mandir Road,Goregoan (West), Mumbai -400104. INDIA. Plot No. 9/2, Survey No. 36, Unique Idustrial Complex, Dhumal Nagar, Valiv, Vasai [East], Dist.